The Traffic Police on Thursday continued with the drive to enforce one-side parking across arterial roads in the city to ease traffic congestion. They began the drive last week by implementing one-side parking on Mission Street and Mahatma Gandhi Road. The east side of Mission Street was made into a no-parking zone and ‘no parking’ boards were installed in front of shops to prevent unauthorised parking of vehicles. 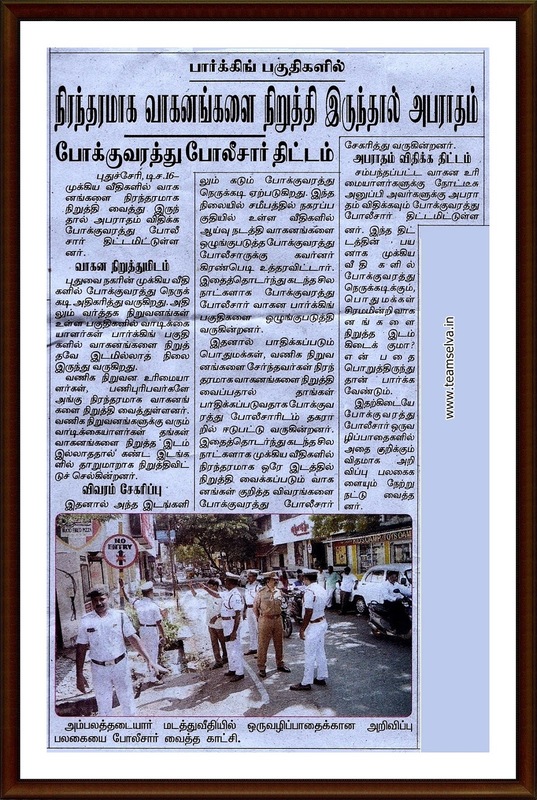 A similar situation prevailed on Ambalathadayar Madam Street after the police announced that one-side parking would be implemented on the entire stretch from Anna Salai till Ambour Salai. The north side of Ambalathadyar Madam Street will be a no-parking zone. 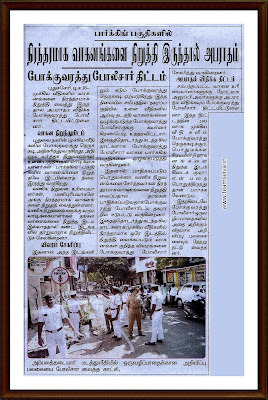 Inspector of Police of Traffic C. Maran said that though the stretch of Ambalathadayar Madam Street starting from Anna Salai to Mission Street was a one-way, the relaxation of the rule on the stretch between Mission Street and Ambour Salai led to traffic congestions. The police have now decided to strictly enforce one-side parking and one-way traffic regulation on the entire stretch and fines will be imposed on violators from Monday. A similar exercise would be taken up on Rangapillai Street and other arterial roads where haphazard parking of vehicles has resulted in traffic congestion. Necessary signboards would be installed in a day or two and parking would be completely banned on the northern side of the Street. Mr. Maran said the police will also crack down on parking violations and action will be initiated against vehicle owners who tend to leave their vehicles in the parking slots for a long time. A notice will be served on the owner and the vehicle will be towed away. The vehicles would be released only after the payment of a fine, he said.